This is a moderate family friendly 2-3 hour (7 km) loop walking route to Bray Head and along the coastline at the west end of Valentia Island, Co. Kerry in the south west of Ireland. 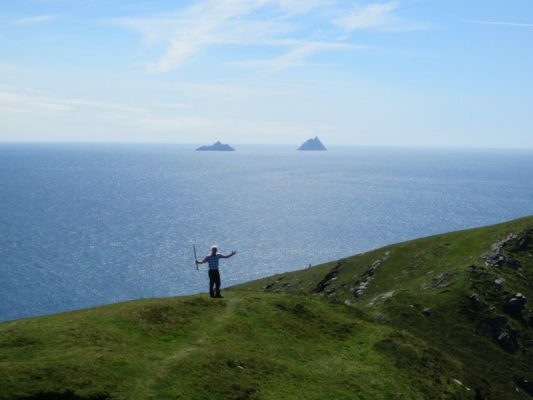 It is a steady climb to the tower with spectacular views of the Skellig Islands, the Kerry coast and the Wild Atlantic Way along the way. It obvious when you get to the top but please be sure to take care of all young children as there are exposed but stunning cliffs. Bray head is a signature discovery point on the Wild Atlantic Way and an ideal way to view the Skellig Islands, A UNESCO World Heritage Site and now a major set location on Star Wars The Force Awakens movie. 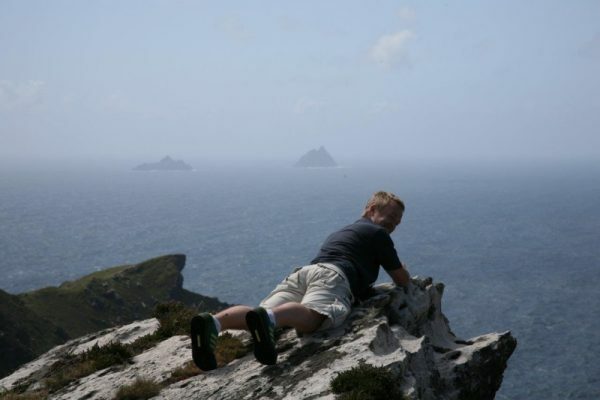 This is, if the weather prevents you from visiting the Skellig Islands by Boat (more info here). 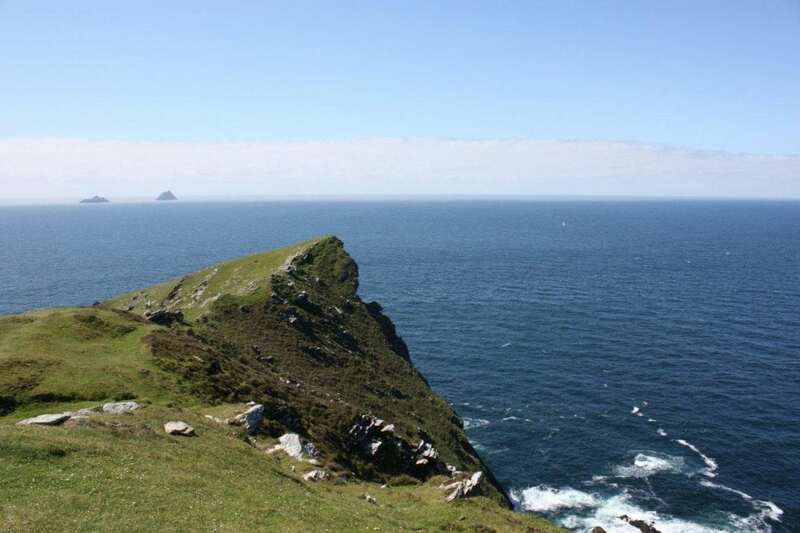 Bray Head is located on the western end of Valentia Island, County Kerry. 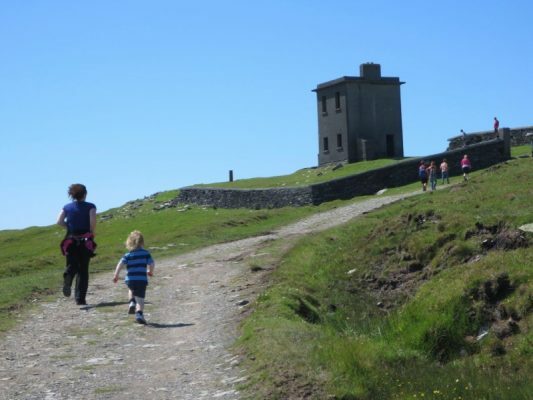 At its summit is Bray Tower, a two-storey abandoned signal tower built by English forces in 1815 during the Napoleonic wars and used as a signal station along with several other Martello towers located all along the Ireland coast. It was designed like a 16th century Irish tower house with a chimney and is surrounded by a stone wall. In 1907 Bray Tower was used by the Navy as signal station and again during WWII it was used for coastal watches. The 90 minute walk to the tower from a new car park is scenic, historical and archaeological walk and well worth the €2 car park charge (believe me the old car park was bad) where you can soak in the views and have a picnic. From the tower there are great views out west over the Skellig Islands, north looking out over the sheer cliffs to Dingle and south along the Skellig Coast, Portmagee and Puffin Island. If you’re lucky you may also be able to see some whales passing the headland in the water below. Just below and west of the tower are the remains of the word EIRE written using stones in large letters to allow pilots during war times to identify the Irish coastline, a form of early GPS. 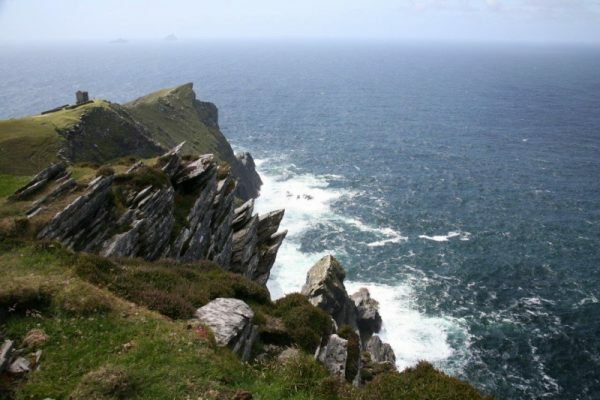 Near the car park, is the historic site where the first Trans-Atlantic Cable landed in 1866 which connected North America to the rest of the world. 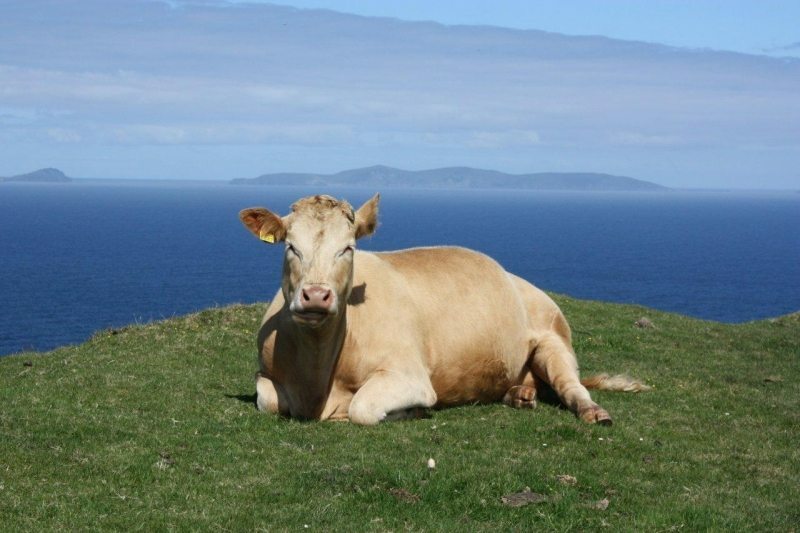 At this time, Valentia Island was the centre of the world for communications and technology and is now seeking UNESCO World Heritage Status for this amazing part of its history. Half the way up to the tower on the south side of the road is a unique heritage site that many miss. Here there are remains of five dry stone buildings from early Christian times with 12 decorated stones, crosses and other geometric shapes engraved on them. 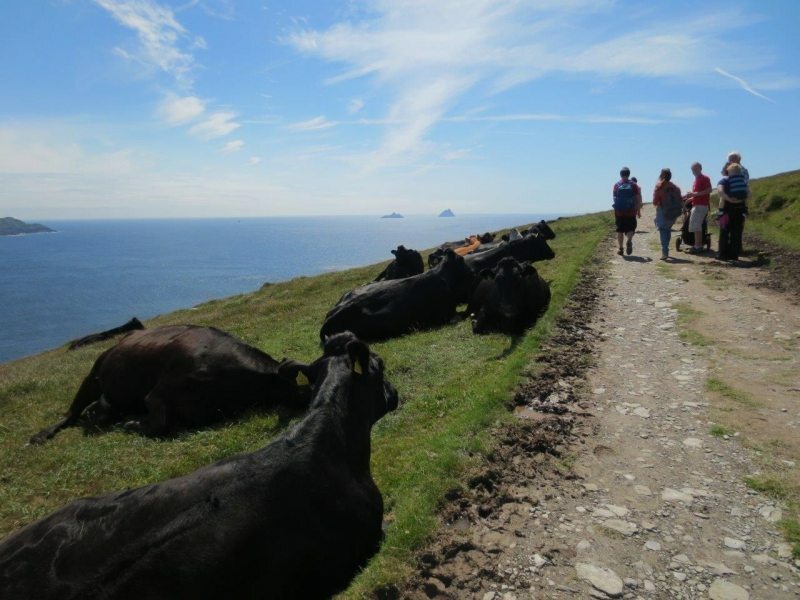 There are plenty of other walking routes in the area, so please find a route that is right for you or your group. Please remember that you are only as fast as the slowest member of your group! 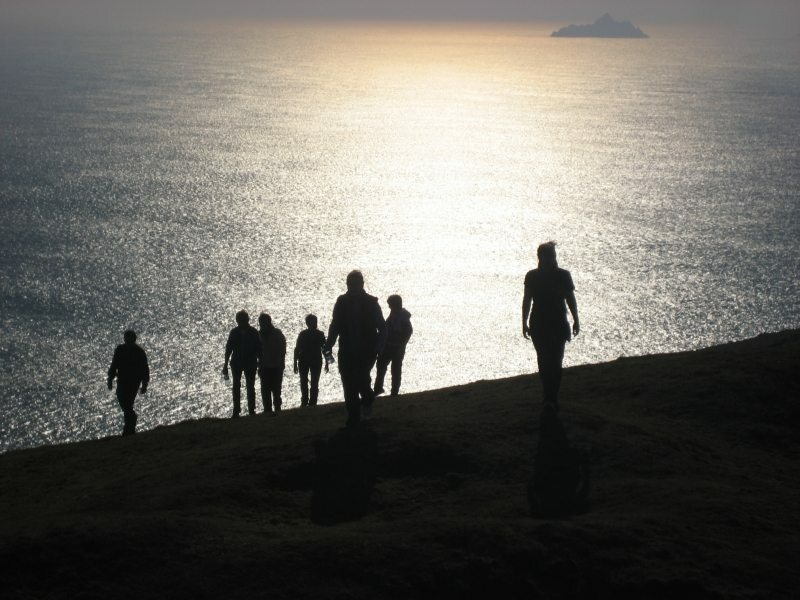 Use our Map of Ireland and Sat Nav tool to get directions to the start point and our detailed maps and GPS on our ActiveME iPhone App and Android App to find and follow the walking route live on screen and keep on track. At all times, our maps and App should be used in conjunction with proper map and compass navigation techniques. You are also advised to taking into account the weather and have permisson to access the lands. Feel free to send us your photos and add you own star rating, comments or suggestions below.